Our product range includes a wide range of galvanized steel wire and stainless steel wire. We offer to our client's different varieties of Galvanized Steel Wire, which are mainly used for binding purposes in line applications. 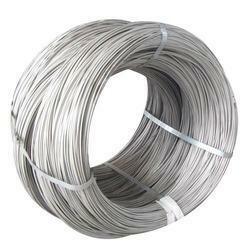 We are well-known manufacturer and supplier of Stainless Steel Wire. Our client can avail Stainless Steel Wire in best market price from us.